“It is communities, often the world’s poorest, that lose the most from this illicit trade, while criminal gangs and corrupt officials profit. 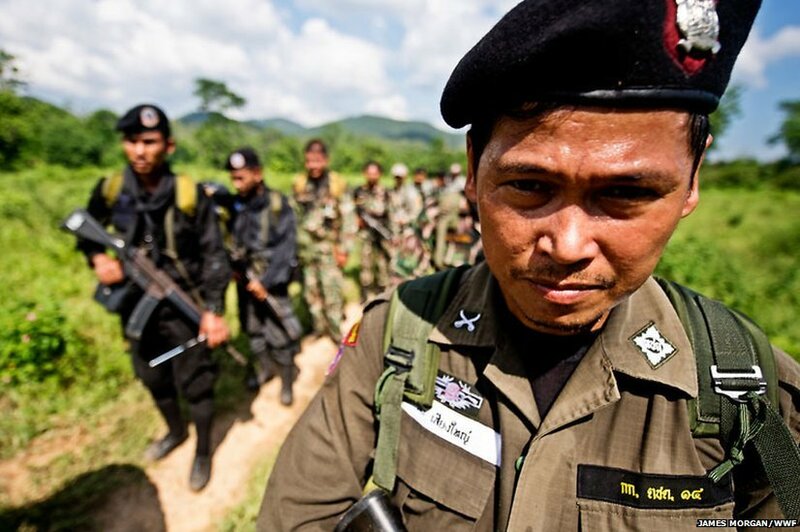 Frontline rangers are losing their lives and families that depend on natural resources are losing their livelihoods,” says Jim Leape, Director General of WWF-International. 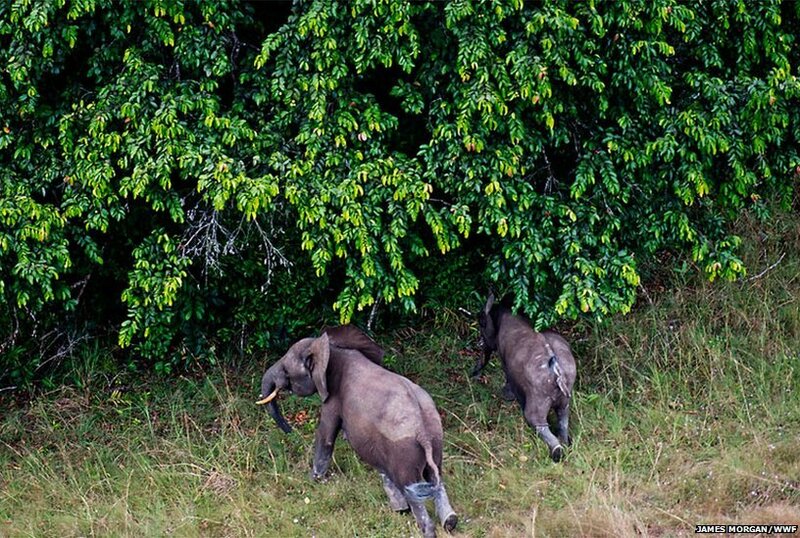 Despite a 23-year ban on international trade in ivory, elephants continue to be shot for their prized tusks. 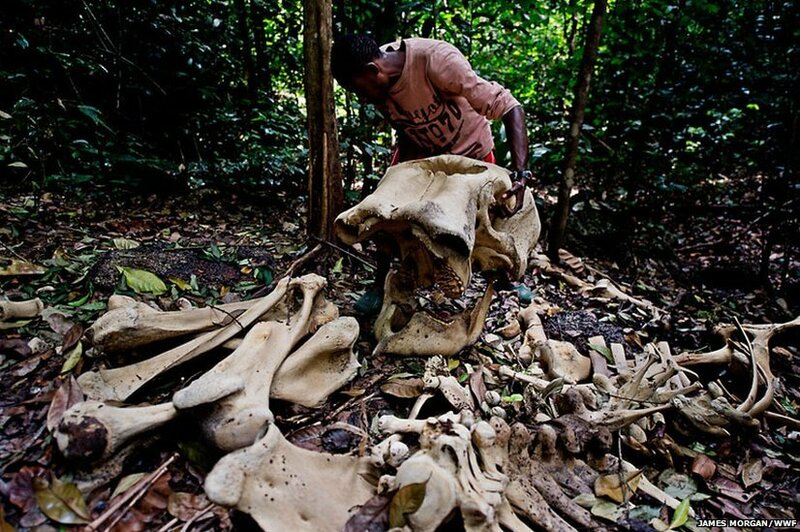 Conservationists have recorded steep declines in the elephant population in a number of African countries. A 1989 ban ruled out international trade, but in 2008, China and Japan were allowed to make a one-off purchase of legally sourced African ivory it is therefore increasingly difficult to determine the source. 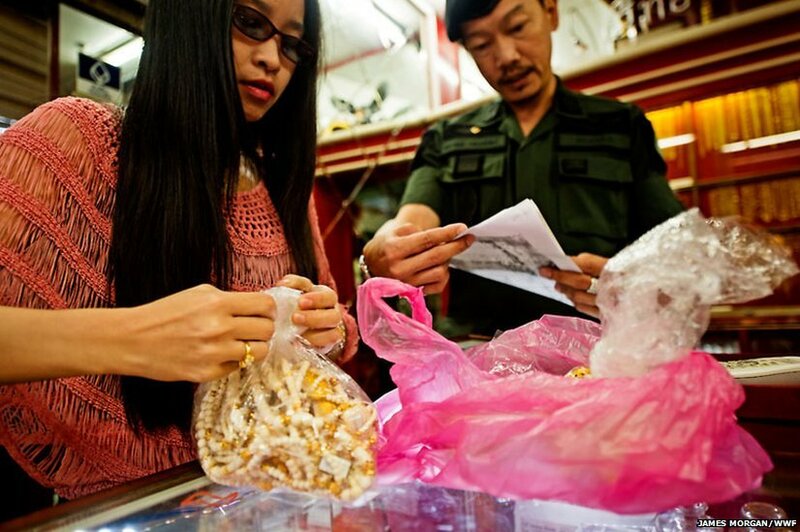 This makes the fight against the illegal trade increasingly difficult. 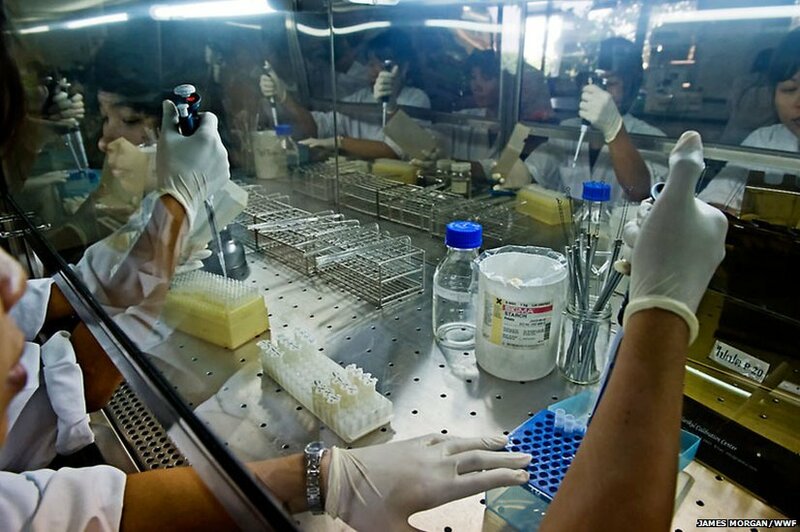 Researchers at the Department of National Park, Wildlife and Plant Conservation's laboratory conduct DNA tests on confiscated Ivory in order to determine its origin. 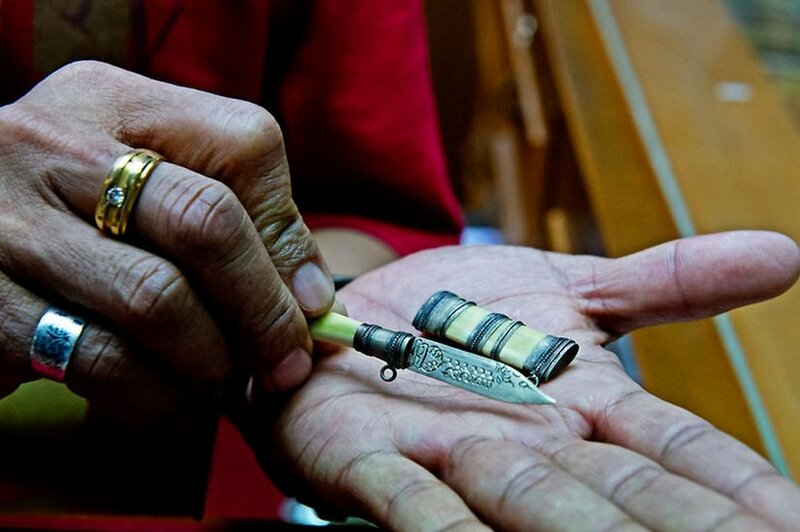 Ivory tusks are commonly used in traditional medicine and to make ornaments or jewellery. 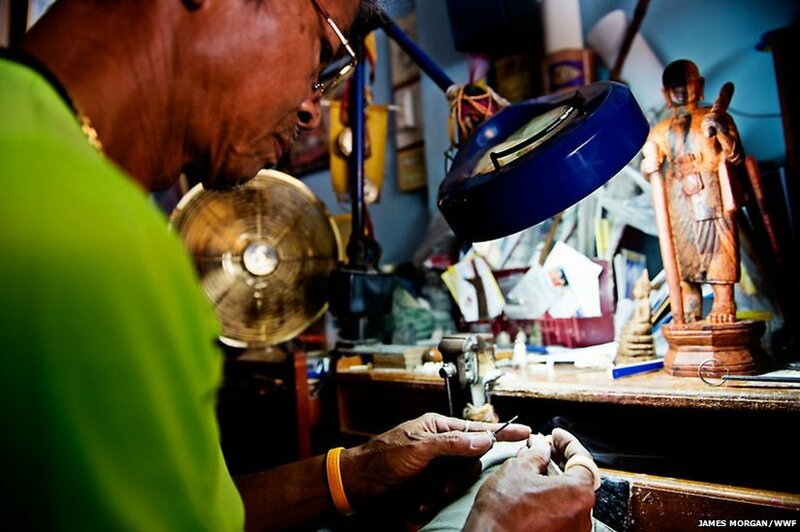 An officer inspects a shop selling trinkets made from elephant ivory in Tha Phrachan market, Thailand. 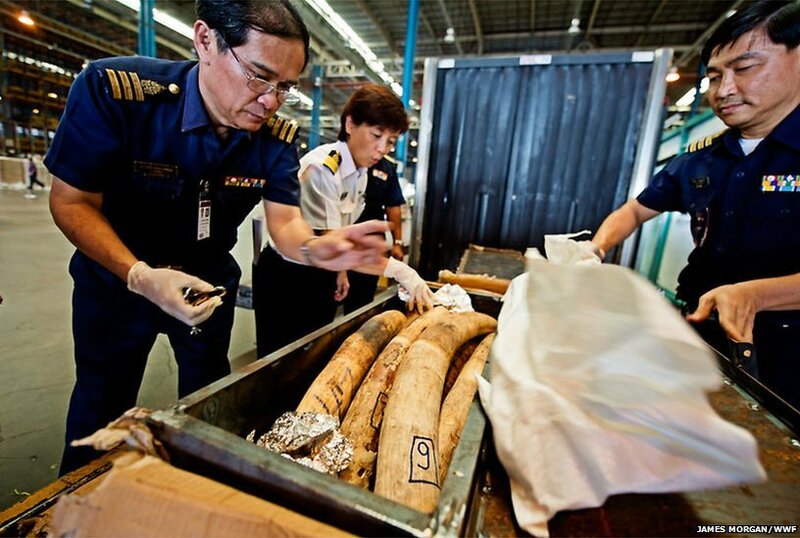 In July 2012 nearly half a tonne of ivory worth more than $700,000 (£447,000) was seized at the airport in Bangkok. 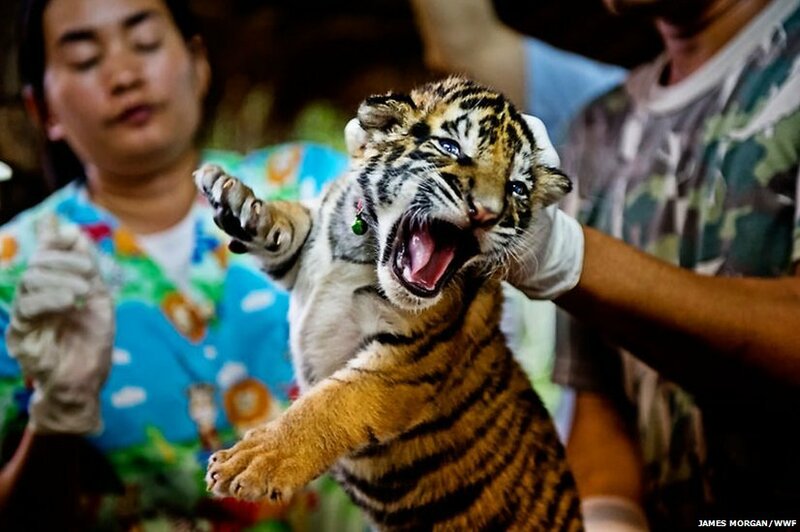 The penalty for trafficking endangered species or their parts is "up to 10 years imprisonment and a fine four times the value of the items seized", said Tawal Rodjit, director of customs at Suvarnabhumi airport.